I’m back to local history with my next review. A while back I read Roman Chester by David J.P. Mason. 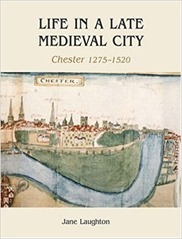 I have his book Chester 400AD –1066AD on my “to read” pile but instead I am jumping forward to Life in a late medieval city: Chester 1275-1520 by Jane Laughton. 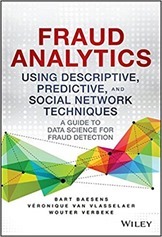 The book starts with some definitions and background. How do we define a city? What was the hierarchy of settlements in Cheshire and indeed the rest of England and Wales? This information can be inferred from various charters, and the like. The book is laid out thematically, so having covered definitions of towns it then goes on to provide an overview of the historical background to the period. This is generally revolves around what kings were doing (invading Wales, crushing rebellions) but also mentions the rise and fall of Chester with famine and the Black Death. Chester was an important location in Roman times, acting as a forward base for the Roman invasion of northern England and a potential jumping off point for Ireland. So it was in the late medieval period. The start of the time span of the book coincides with the time Edward I’s invasion of Wales when Chester was used as a garrison for the invasion force. The next chapters cover the topography of the city and the built environment. The central streets of Chester, Eastgate, Bridge Street, Northgate and Watergate play a key part here – as they do to this day. In the period covered by the book these streets provided the key administrative divisions of the city, when citizens interacted with the bureaucracy they were labelled with their name and home street. I am intrigued by the Pentice, which was a lean-to structure built against St Peter’s church at the Cross in the centre of the city which served as the base for administration for many years (you can see a picture of the Pentice on this page) – it was finally demolished in the early years of the 19th cenutry. The “Rows” are a key feature of the built environment even now, as they were in the late medieval period. For those that haven’t visited Chester the Rows are an arrangement whereby walkways runs through the first storey of the shops on Eastgate, Bridge Street, Watergate and Northgate (to a limited extent). Towards the street from the Row there is a flat, slightly sloped “stall” which was used to lay out goods in the past, beyond which is open to the street at first storey. Opposite the stalls are shops, and beneath the “Rows” are undercrofts. You can see pictures of the rows here, they haven’t changed a great deal over the years. 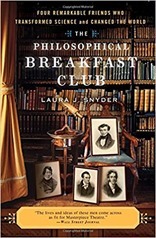 Laughton makes it clear that the book is based on the records of courts and taxation within the city. So we know, for example, that the tanners in the city worked outside the Eastgate because there are court records of them being charged with blocking the city ditch with their cess pits. We know of the types of trade taking place in the city through taxation, rental and customs records. Sometimes the relationship with the underlying records feels a bit direct. We are introduced to messuage with no explanation, a messuage is a dwelling and its land. And also pavage, murage and even pontage – these are taxes raised for the purpose of building and maintaining roads, walls and bridges respectively. The portmote, crownmote and piepowder courts are similarly introduced with little ceremony. Portmote are essentially courts in port town, crownmote are courts which cover the most serious offences and piepowder courts cover justice surrounding traders coming in from outside the city. Similarly a range of now obscure occupations such as corviser, souter, barker are introduced with little explanation. On the plus side I have learnt a host of new words for which to find application! The book goes on with chapters on the hierarchical society and urban government. There is some overlap here with men moving through positions in the government of Chester, more rapidly if they are nobility. 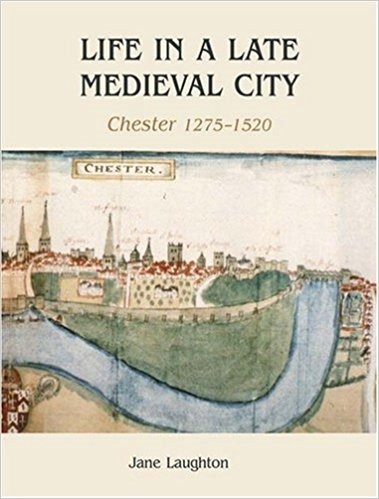 This history of Chester is quite distinct from my readings in the history of science, the period it covers lies before the main developments in Western science. Copernicus (1473-1543), Mercator (1512-1594) and Galileo (1564-1642) are the earliest I’ve read about, most of the history of science I’ve read is post English Civil War. 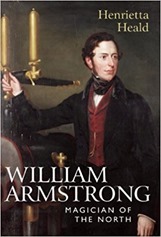 Science does have an equivalent to the administrative records in this book but they are impersonal records of the locations of stars and planets, and the like. 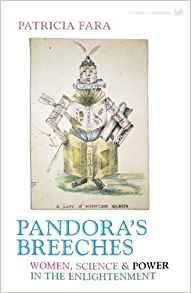 Reading Life it strikes me that Chester (and undoubtedly the rest of England) had quite complex systems of law, ownership, trade and so forth from a very early time – science is something of a latecomer. It feels like a book a bit more for the specialist than the general reader but I found it pretty readable and enjoyed the link it gave me to the medieval inhabitants of the city I live in.